The importance functionality of having shortcuts secret codes hidden within a mobile device was originally intended for the employees of the respective devices to trouble shoot and perform procedures. Yet now, living in a digital world, everyone has access to this information. Open your dialer and type in the following *#*#7780#*#*. Another way is to open up settings and click on Restore > Factory Reset. Reinstall Firmware You can reinstall your device’s firmware with ease by typing in *2767*3855#. Ultimately, you can also use a third party software on your computer to connect your phone and install new firmware modules. This is commonly used for testers and android programmers. Activate your Testing Services Mode by typing *#*#*#*#197328640 into your dialer. Once you’ve done this, open the settings page to find the new Testing Menu. Like most programmers, I often want to see the type of camera on the phone. Type in *#*#34971539#*#*. Believe it or not, you can create backups of your media files by using the phone’s dialer. Simply type *#*#*273 283 255* 663 282*#*#*. “Spy onto them, as they spy onto us” – line from the 90’s movie “Hackers.” Yes, Google is spying on you. So, let’s open up that monitoring service by typing in *#*#8255#*#*. From there you’ll soon find out what data Google really has on you. While the top-right part of your screen displays the battery status, you can also see more information by typing in *#0228#. What type of encryption is your phone carrier using to protect you? 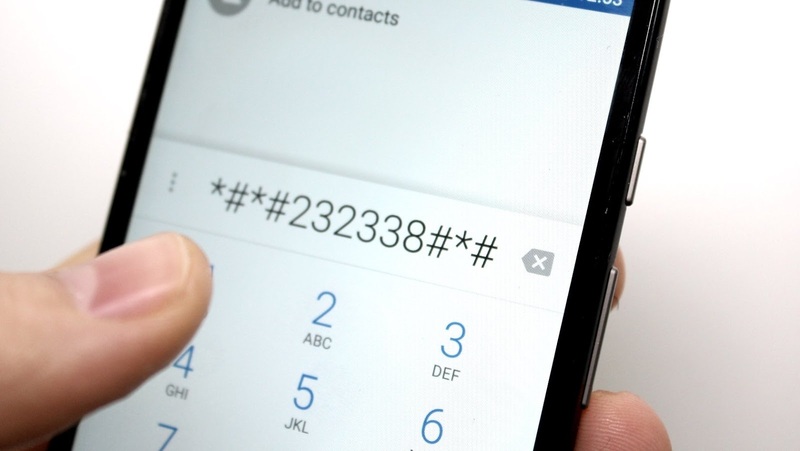 You can see the encryption type your phone is using by entering *#32489#. Everyone who owns a mobile device is often curious as to how much data they really have used. Most times, it seems the phone bill comes in saying you used X amount of data, and you’re sure you didn’t. Put the phone company to the test: simply type in *# 3282 * 727 336*#. This may not work on all devices, but you can test out your 3D settings by typing in 3845 #*920#. This will show you if your devices are capable of rendering 3D modules. You can easily check the status of your Wireless Lan network settings by typing in 526#*#*#*#* or 528#*#*#*#*. You can perform a full GPS test to see how accurate your GPS settings are. GPS isn’t always 100% dead on target. Just run the test *#*#1575#*#* to see how well your GPS is actually working for you. Ever wondered why your Bluetooth settings are dropping connections? Maybe you can’t connect as quickly as you once could? Test out your Bluetooth for potential issues, and to see what type of Bluetooth hardware you’re using. Simply type *#*#232331#*#* into the dialer pad. If you wanted to look at your device’s firmware to see the type of software used, type *#*#1111#*#*. Now that you have your software information, find out what it’s running on. Type in *#*#2222#*#*. View the settings configurations of your diagnostic testing by typing in *#9090#.